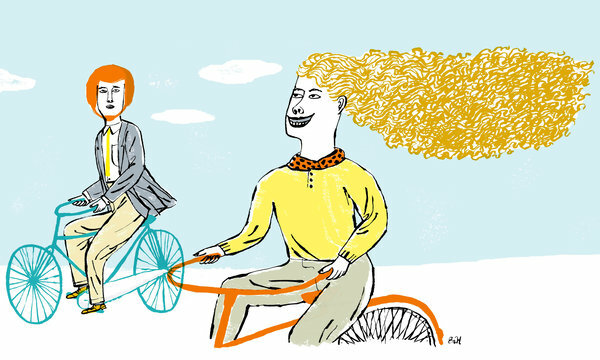 To Encourage Biking, Cities Forget About Helmets, "Huh?" “Pushing helmets really kills cycling and bike-sharing in particular because it promotes a sense of danger that just isn’t justified — in fact, cycling has many health benefits,” says Piet de Jong, a professor in the department of applied finance and actuarial studies at Macquarie University in Sydney. He studied the issue with mathematical modeling, and concludes that the benefits may outweigh the risks by 20 to 1." 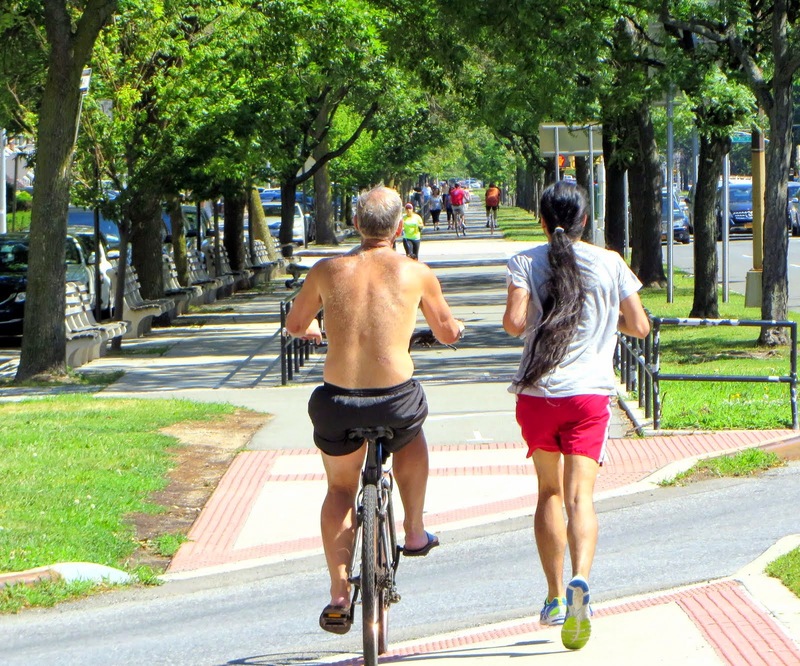 He adds: “Statistically, if we wear helmets for cycling, maybe we should wear helmets when we climb ladders or get into a bath, because there are lots more injuries during those activities.” The European Cyclists’ Federation says that bicyclists in its domain have the same risk of serious injury as pedestrians per mile traveled. Lots of reaction to this point of view in article and in comments. Heads up bikers, walkers, amblers, joggers, and runners: the Central Park roadways are about to get a little makeover for you! The DOT, Parks Department and Central Park Conservatory announced last night that they'll be redesigning the roads to make more space for cyclists and pedestrian—by cutting down car lanes. The redesign will double pedestrian walking space, separating a lane for pedestrians and child cyclists from a slow and fast lane for adult cyclists and leaving one lane for vehicle traffic, a la Prospect Park. 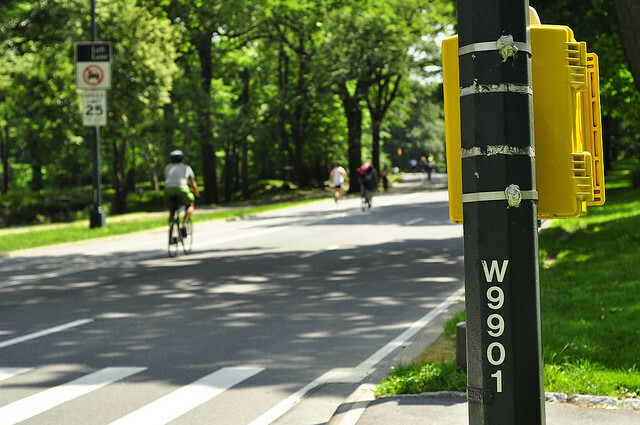 The plan also calls for the installation of plastic posts that would create a physical barrier between cyclists and pedestrians; at a Central Park Precinct Community Council meeting earlier this month, attendees noted rising tension between cyclists and pedestrians, particularly joggers, when it came to hogging the non-vehicle lane. The plan even appeals to Central Park's anti-car advocates; Transportation Alternatives said in a statement, "Parks are for people and that's why we've long supported a car-free Central Park. However, in the meantime, separate spaces could help. It's a proven fact that separate spaces for pedestrians, bicyclists and drivers keep everyone out of each other's way and out of harm's way." The DOT plans to begin the redesign in October. Last week they cut the ribbon on the new arena on Flatbush and Atlantic. Phone booths around town have been promoting today’s opening date. The depositing of household garbage in the trash cans on the Ocean Parkway malls is a continuing problem. Many of the trash cans that overflow are mostly filled with household litter. Sadly I suspect that the it is some residents on Ocean Parkway that are responsible for much of this mess They may consider these trash cans their own private sanitation outlet for their own personal use and ignore the impact on the quality of life on the malls. Or the twice a week garbage pick is not enough for them. Here's my observation. If you look at the trash receptacles opposite apartment buildings you rarely see them full. But the receptacles opposite private homes on the Parkway tend to accumulate the vast amounts of household garbage. It is easy to spot household litter as you can see in the photos. Even if the trash can is completely filled people keep adding to the pile. These are not soda cans or Dunkin Donut bags. The garbage left at the foot of trash receptacles are plastic bags neatly tied by someone who planned to dispose of their personal trash carried to the mall rather than put it in their own garbage cans. This is a selfish and unsanitary behavior on the part of these folks. 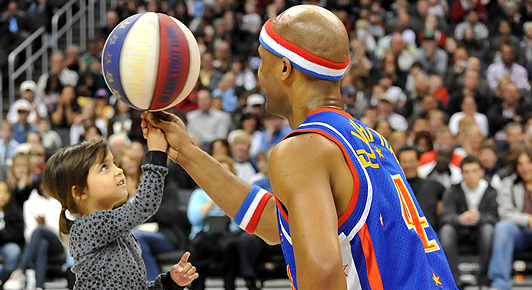 The MTA may have something in their approach to trash in the subways. Eliminate the trash cans and If there is nowhere to discard trash, riders will take it with them out of the station — I have to agree. The flagrant abuse of the trash cans on Ocean Parkway require a new approach. Let's eliminate those cans that show large amounts of household garbage. Just take the trash cans away from those locations where the abuse has been most egregious. 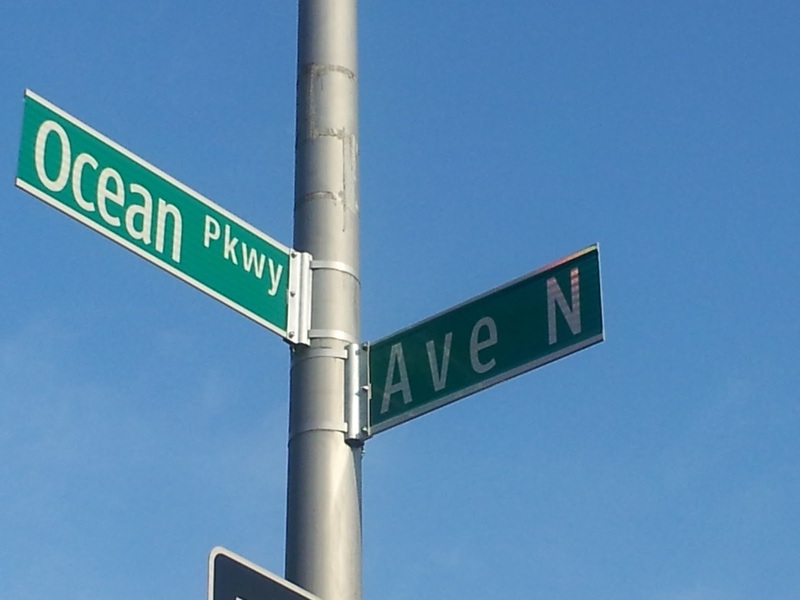 Avenue Y and Ocean Parkway is a prime example. If a can wasn't available there would be no trash polluting the mall (which had just been renovated last year). Trash cans should still remain at locations where there are eateries and other sources of fast food near such as Kings Highway. But there is no reason to keep them on the mall opposite private homes if the residents don't accept their community responsibility of keeping their wonderful greenway clean and litter free for all. Let's give the trash "raccoons" a surprise. Eliminate their personal trash can. And when they sneak out at night toting a plastic bag of trash they will not find their favorite depository and hopefully carry it back to their own property for disposal in their own container. Hard to control illegal dumping but residents can control what they do with their own garbage. New York is dreaming of a world where taxis and cyclists can be friends. In addition to new logos and a brighter yellow color, the city’s taxi of tomorrow will also come with anti-”dooring” decals. And so will the taxis of today, according to Taxi and Limousine Commission Chairman David Yassky. Canopy: NYC Street Tree Map <===Click here. Color coded with tree specific info. Did a lot of zooming and clicking but didn't get anywhere. Interesting project but I'll leave it up to you to figure it out. Sorry. Let me know if you get it to work. P.S. I don't think the Rockefeller Christmas tree counts. A brand new piece of wood replaces one of the countless rotting or damaged boards on the Boardwalk. There are tens of thousands of boards on the 2 1/2 mile Boardwalk. It takes 30 minutes to 1 hour to replace each board. There is only one crew of two carpenters responsible for the entire boardwalk. Do the math. Will the new street signs keep you from missing your turn? NYC crosswalks urge pedestrians to LOOK! New York City transportation officials are putting the word LOOK! on the crosswalks of some of the city's most dangerous intersections. City Transportation Department Commissioner Janette Sadik-Khan says New Yorkers are driven to distraction with their smartphones, and the simple act of looking can prevent thousands of crashes and injuries every year. The word LOOK! - in bold capitals with an exclamation point and eyeballs peering from the Os - is being stenciled into the crosswalks of 110 intersections. It's the most visible part of a $1 million campaign aimed at solving a chronic problem. More than 9,000 New York City pedestrians were injured and 41 killed in 2010, the last year for which detailed traffic crash data is available. Ads tailored to drivers feature eyes and will appear on MTA/NYC buses' rear advertising panels. These ads remind motorists to "Drive smart/LOOK!" with the dramatic statistic that 57% of traffic fatalities involved pedestrians. Another underscores the life-saving benefits of motorists looking before they turn, noting that half of all New Yorkers killed last year by cars at the crosswalk had a green light. The annual NYC Century Bike Tour is a great undertaking and 7000 riders is quite an achievement. The weather was perfect and everyone seemed to be having a good time. But the lack of discipline shown by too many of the riders by ignoring the rules of the road was very disappointing. I cannot speak about the whole tour route. My main focus was on the intersection of Ocean Parkway and Neptune Avenue, the primary route for all the tours that followed the shoreline from Coney Island to Sheepshead Bay and onto the Belt Parkway bike path going east. Ocean Parkway is a eight lane parkway including two green malls. The intersection has been cited as one of the more dangerous in the borough. There are many elderly residents who live in this Brighton Beach community and countdown traffic signals have recently been installed to improve safety. The traffic was light that morning when I first arrived. Tour cyclists were out in force but hardly any rider felt the need to stop at the intersection when their light was red. If the light was green for Ocean Parkway traffic the cyclists paused for just a moment until the coast was clear and then rolled through the Neptune Avenue red light. Making a decision to cross all eight lanes and the malls when the light is red is irresponsible and can be deadly. Riding mostly in large packs too many cyclists repeatedly violated traffic rules at this intersection. Either they are riding through red signals, blocking crosswalks, rolling through clearly marked crosswalks, travelling with multiple persons abreast , creeping into active traffic lanes, blocking traffic, riding outside the bike lane interfering with traffic flow risking injury for themselves and others. Many only stopped when Ocean Parkway traffic was imminent and moved forward when the coast was clear. This was not a few riders. The large packs of riders would move en masse increasing the danger to themselves, motorists and pedestrians who had the right of way. This intersection is very well marked to enhance safety for all. The videos clearly show what I have described. 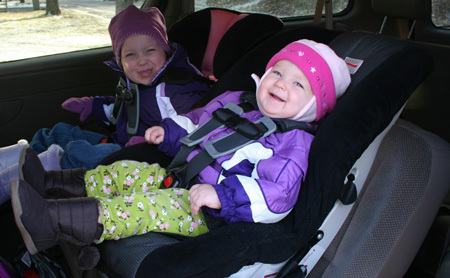 Nearly 90% of infants and toddlers are in car seats, but only 66% of 6 and 7 year olds are using car seats or booster seats as recommended, and the percentage gets lower as kids get older. A night of heavy rain and strong winds helped create new patterns on the boardwalk. As the sand dries and the winds shift new designs appear and then disappear below the boards. Comment on "If Kant were a NY Cyclist"